A visit to The Flat Cat Gallery in Lauder is always something special, whether to enjoy the stimulating art exhibitions in this exciting artistic hub or to relax in the cafe serving home made soups, aromatic coffee and tempting cakes. 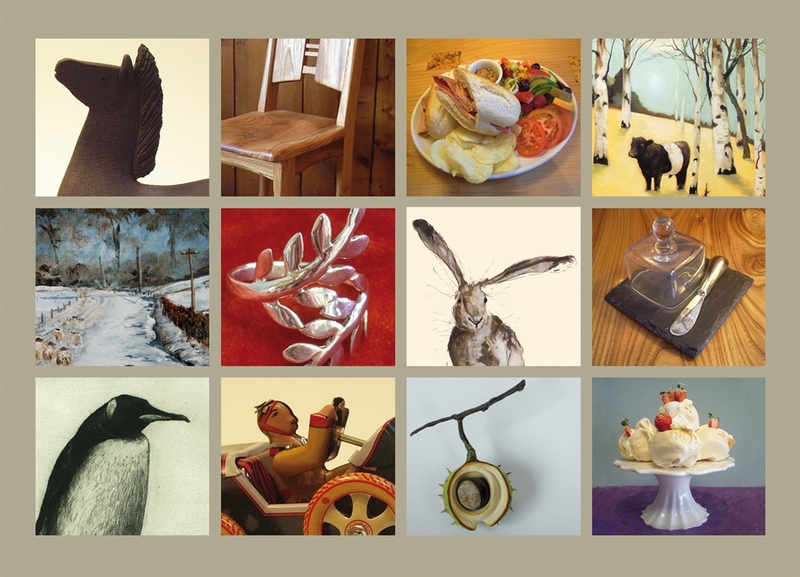 The exhibitions are easily as tempting as the delicious food, this years exhibitions include Catherine Rayner, Lesley Mclaren, Helen Tabor, David Hay, Alan Richmond, Lyndsay Turk . The ethos behind the gallery is bound up in celebrating local art and the creative forces behind it, set against a welcoming backdrop which includes a selection of hand crafted wooden furniture which is as aesthetically pleasing as it is functional. Produced by the workshop of Tim Stead, each unique piece is artwork in its own right and a testament to the gallery’s dedication to a diverse range of artwork, which also includes contemporary art, ceramics, sculptures and jewellery. The result is very much a destination gallery, a venue which draws visitors from far and wide and never fails to please, catering for both the well informed and the novice in recognising that art is for everyone and nurturing that passion.